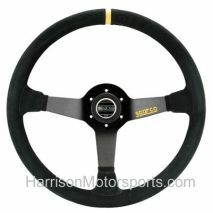 The finest choices in steering wheels, hubs and quick release setups from Momo, Personal, and Snap-off Systems. 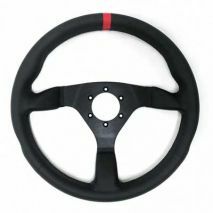 New from Racetech, leather race wheel, comfortable grip. 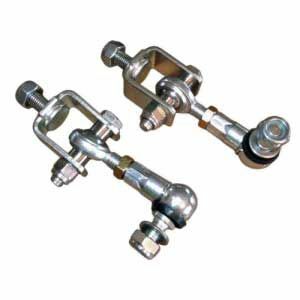 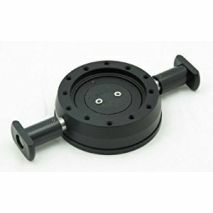 Gain lifesaving space to quickly exit your car after a crash with a steering wheel quick release. 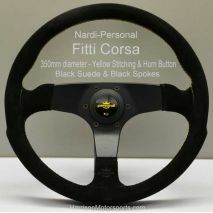 Great Security Devise, deters car thieves from breaking the window when they see the steering wheel is missing. 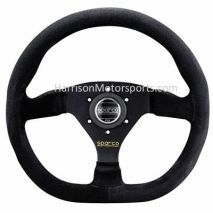 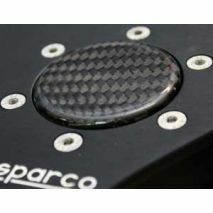 The Sparco R323 steering wheel is a 330mm diameter, 3 spoke steering wheel trimmed in black suede with a Sparco logo. 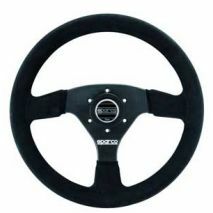 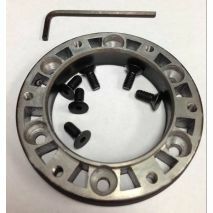 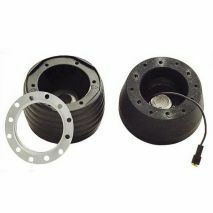 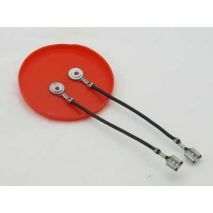 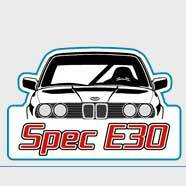 It is a competition steering wheel designed for use in racing or rally cars. 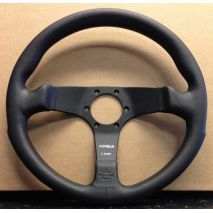 Improved grip and comfort for driving precision. 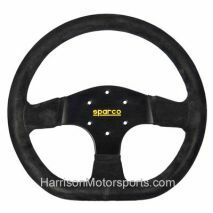 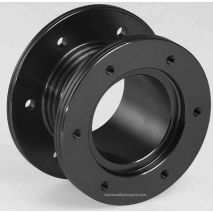 The Sparco R368 Steering Wheel is a classic round wheel, and sports a dish of 65mm. 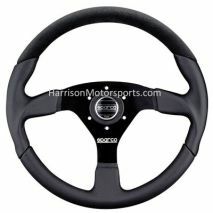 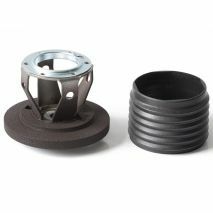 This allows the rim of the steering wheel to sit closer to the driver than a flat wheel. The all-leather grip offers a durable, long lasting steering wheel perfect for HPDE or Club Racing.